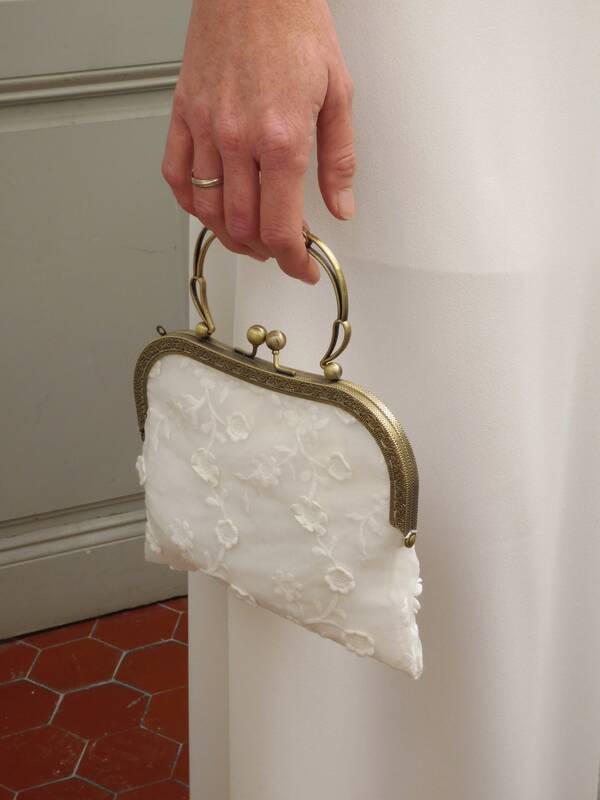 Nice little clutch bag for your essantials on your wedding day. 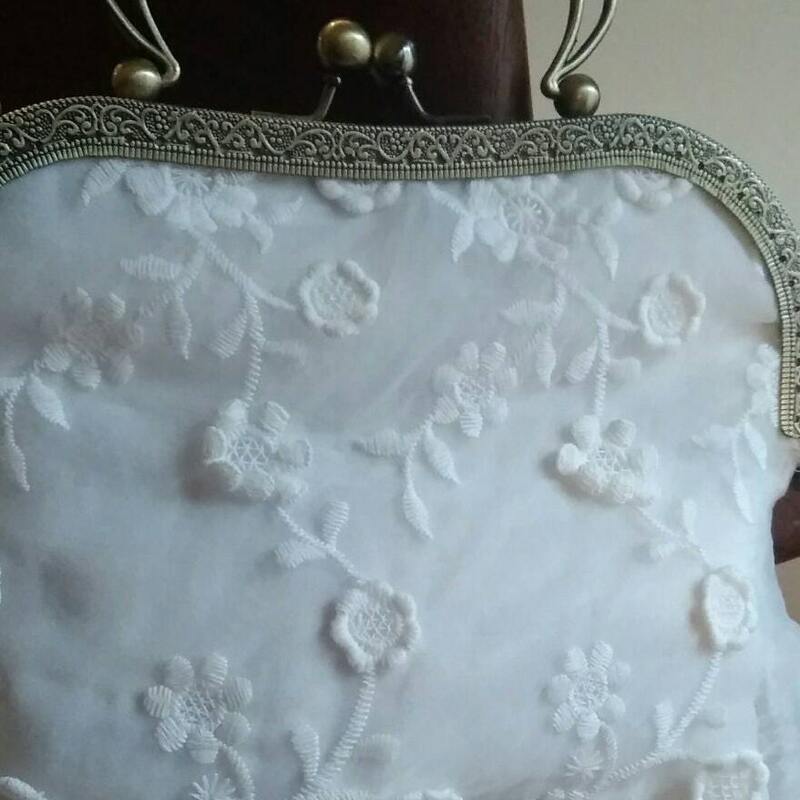 Lace embroidered with white flowers in relief. 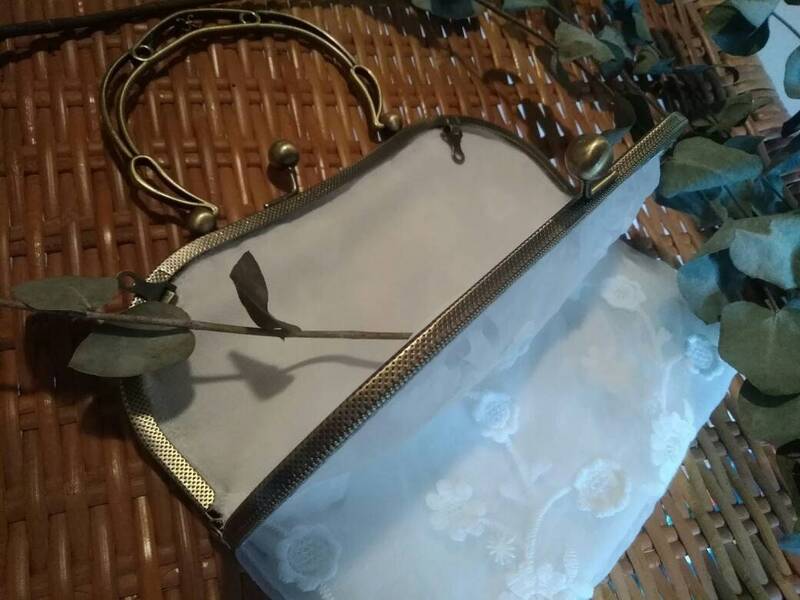 Handbag with handle for bride, Bag pouch for ceremony, evening or cocktail. 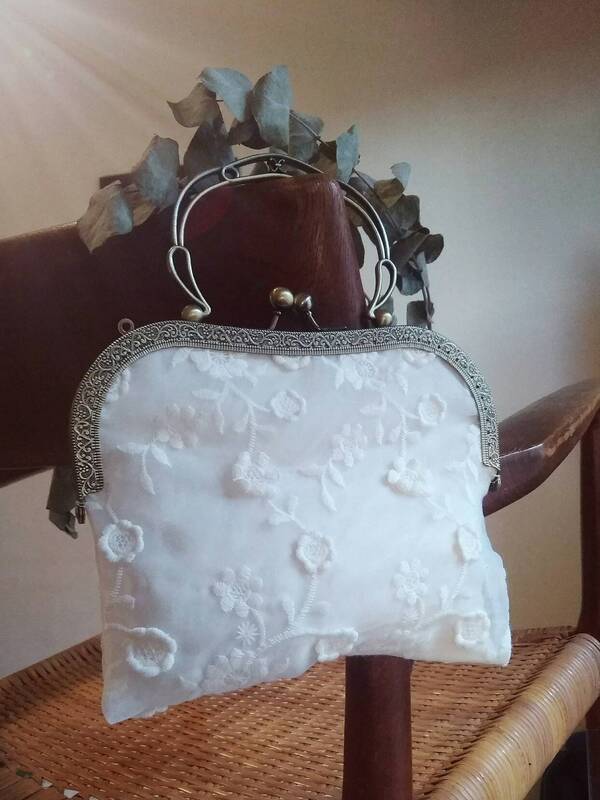 wallet for the town hall, civil wedding. 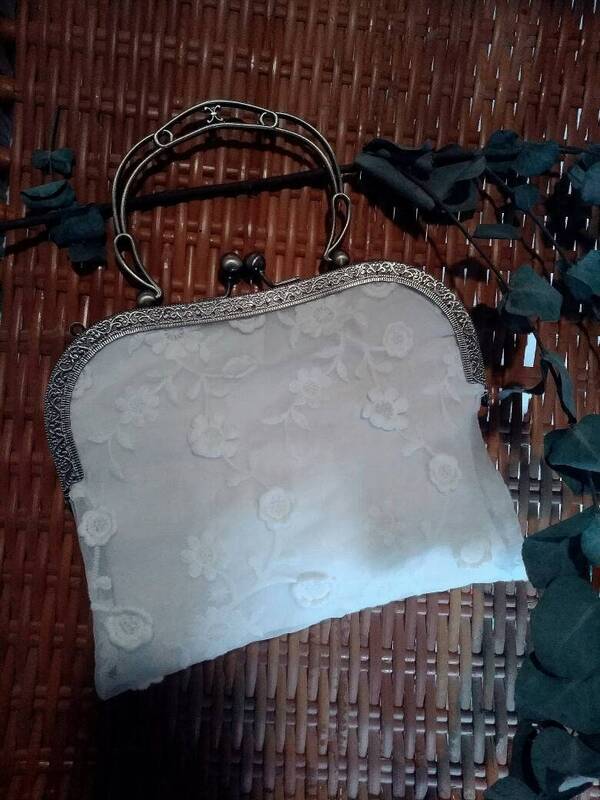 Total height with handle: 9,8"
decoration: fabric flowers, embroidery, lace. The closure is done by a clasp and a metal handle, sewn by hand. 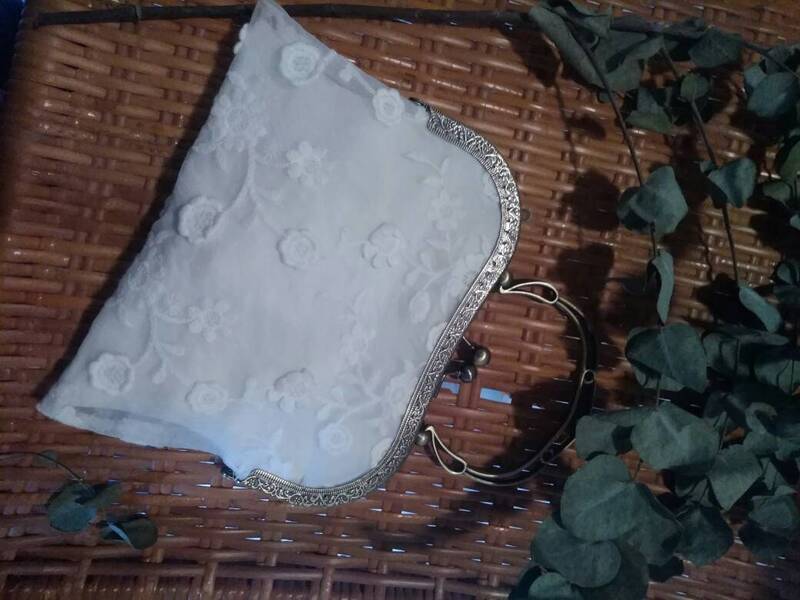 wedding accessory, wedding accessories, women's handbag, brand handbag, original clutchbagbag, vintage wallet, women's wedding kit, clutch bag, vintage bag, wedding bag, white wedding bag, bridal bag pouch, women's clutch bag, wedding clutch bag, white off wedding clutch bag, women's handbag, women's clutch purse, white clutch purse , wedding handbag, vintage handbags, wedding purse, clutch bags, white clutch bag, ceremonial clutch , Fabric bag, chaplain, minaudière.